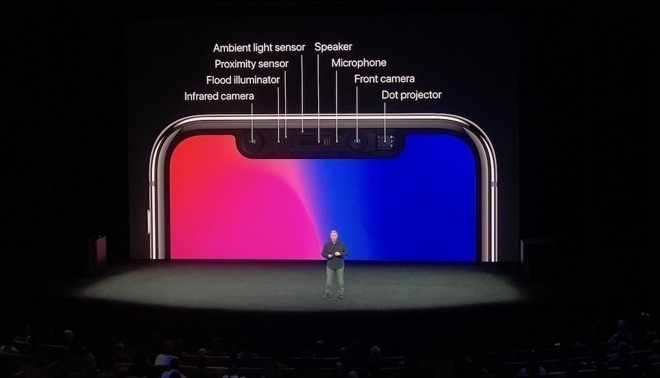 Apple analyst Ming-Chi Kuo believes that the 2018 model-year iPhone will launch "on time" and with a "stable supply" sporting the existing TrueDepth system, and Face ID user authentication. In a research note seen by AppleInsider Kuo believes that prognostications of a lower-spec TrueDepth system with hybrid glass and plastic lenses in a late 2018 iPhone are inaccurate. The analyst believes that Apple will stick with the existing technology with no increase or decrease in sensitivity or accuracy. Furthermore, Apple's supply of the components needed for the future iPhone, as well as the iPhone X are "now stable, leaving no need to switch to other solutions." Glass suppliers for the system in 2017 are expected to be Largan, Genius, Hoya, and/or Asia Optical, suggesting that Apple has either already diversified its supply chain, or will have done so before any 2018 model year phone heads to mass production. Earlier in April, Kuo predicted that Apple will push its advantage over Android handset makers by integrating Face ID and its underlying TrueDepth camera system into all 2018 iPhone models, completely replacing current Touch ID technology found in the iPhone 8. Android-based 3D sensing technologies are expected to mature between the second half of 2018 and first half of 2019, which will lead to higher rates of adoption, Kuo saidKuo said. He also believes that the TrueDepth system will be integrated into the 2018 iPad lineup.